In this article we’ll take a look at the benefits you accrue when you find yourself a dependable and experienced accounting outsourcing provider. The first thing you’re going to want to enquire about is how much experience your potential overseas accountants have under their belts. If you do some comparison-shopping you’re going to find that some providers want you to train their workers in even basic compliance work. Essentially you’re paying them for the privilege of getting their workers up to speed, which they can then use as a calling card for future potential clients which may include your competition. You’re likely to find this kind of set-up in the staff leasing model which, while cheaper at first, can end up costing you a nice chunk of change in the time lost spent to training. It’s worth making sure that your provider will take care of as much of the training as possible to get your accountant to Australian or New Zealand standards. You’ll end up saving a lot of time and money not having to train them in compliance, bookkeeping, etc., allowing you to focus that energy back into your firm’s growth. Hiring a trained-up accountant or bookkeeper can save you a significant amount of time and money in comparison. Ramping up and lowering your staff numbers in accordance with your workflow needs is a much simpler proposition with a good overseas provider. With in-house staff you can match your resourcing needs to the fluctuation in work over a typical financial year. You can have core dedicated staff that work consistent hours through the year complimented by casual staff that work ad-hoc hours. Engaging staff with a good provider is simple and you can literally have staff working for you within 24 hours. Compare that to the hiring process in Australia of typically months (with the risk of that person leaving after you have spent the better part of a year or two getting them up to scratch). In addition, if your business needs change you can easily reduce you usage of the accounting outsourcing provider without having that awkward conversation of making a close staff member redundant. Maternity leave is also something to consider using an outsourcing provider for. They can cover maternity periods on a temporary basis. Bear in mind that a good provider will easily and seamlessly be able to provide a temporary replacement for any offshore staff that have maternity leave too. Outsourcing, while a great way to reduce costs, is actually at its heart all about growth. By saving you time and money outsourcing frees you up to concentrate to adding value to your services. You’ll be able to concentrate on going that extra mile for your clients (for example, offering business consultations) and courting more A-list clientele. In other words, outsourcing allows you to move beyond working in your business to working on your business. So why not take a free trial? 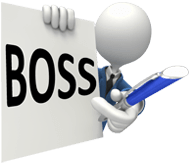 Given the many accounting firms that are now using outsourcing to their advantage, you owe it to yourself to take a free trial with BOSS. Contact us NOW to claim your free trial worth $4,000 in billable time!